Before even thinking about the possibility of pre-settlement funding, one must think about the actual process. Pre-settlement funding is great for keeping you afloat while your lawsuit goes through the motions, but pre-settlement funding is only a lifeline for you. The insurance companies and their investigation will be important when it comes to your actual claim/settlement. 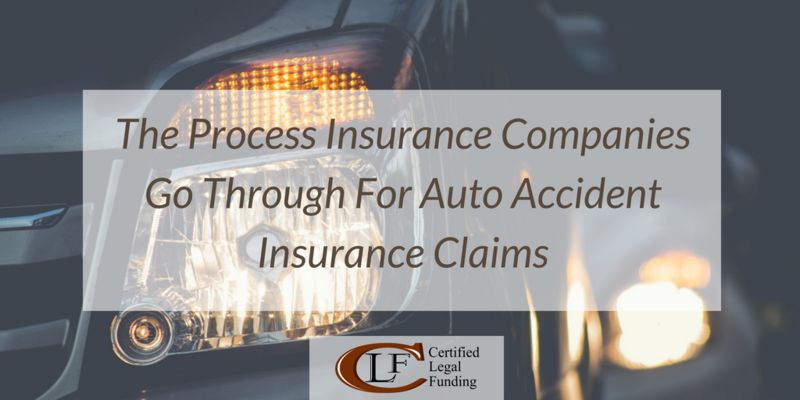 For example, when an auto accident occurs, the insurance company needs to do their investigation before any money can be claimed. Someone from the insurance company will contact both parties to learn more about the incident. They will ask for a number of things: photos of the car, police report, contact info for other drive, to be able to see the damaged car, get statements from witnesses, and medical records. The best way to help is to be prepared with all the relevant information so that you can speed up the process. The payout amount will depend on two things. The first is on the cost of vehicle repairs and the second is based on medical bills. Your insurance company will cover the costs for injuries and repairs until it figures out who is at fault. One of the first ways to assess the damages is to bring your car to the repair shop. It could either be one approved by your insurance company or you could shop around. However, if you shop around, you might end up having to pay the difference if your insurance company won’t pay the full amount. When it comes to assessing medical bills, the insurance company will need to take a look at your medical records. This will help them determine the necessary amount to cover bills or lost wages. The insurance company will want to know both sides of the story when it comes to the accident. They will use all the evidence they gathered to determine who is at fault. However, fault isn’t always completely put on one side. Insurance companies may end up determining that each party is partially responsible. It could be 50/50, 60/40, or any percentage. Whatever the case may be, it is important to be honest, open, and leave little reason for the insurance company to believe that you are in the wrong.